Eat Drink and be married typographic wedding invitation. Like this wedding invitation? You can personalize it with your own wording and details at zazzle. Compendium is another calligraphic typeface designed by Alejandro Paul, who also designed the famous Burgues Script. 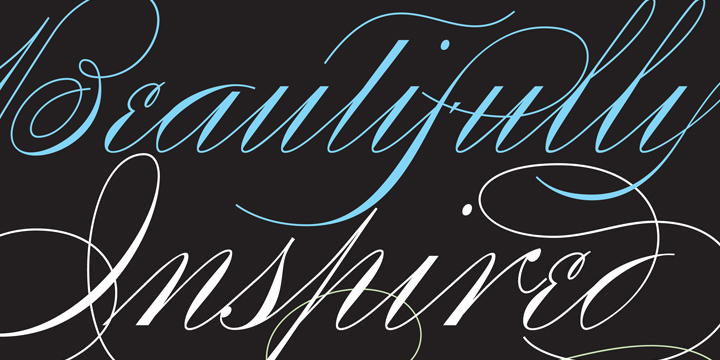 According to the designer, Compendium is a sequel to his Burgues Script and it has a naturally more normalized, Spencerian flow, its elegance, expressiveness, movement and precision are no less adventurous than Burgues Script. Compendium comes with 700 glyphs with plenty of variations for each letter and various ornaments for letter beginnings, endings. You can buy and download Compendium at Myfonts.